Highly concentrated and purified, just two softgels deliver more than 700 mg of long-chain, natural (TG) form total Omega-3 fatty acids including 500mg of EPA. 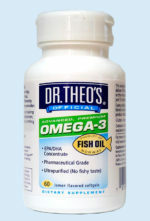 The TG form bested other sources (EE Fish OIl, Krill Oil, Salmon Oil) for increasing blood concentrations of Omega-3 in clinical research on human study subjects, at doses commonly recommended. Whole blood EPA in the TG treated subjects was about 4x that of the Krill and Salmon oils groups. [Laidlaw et al. Lipids in Health and Disease 2014, 13:99 http://www.lipidworld.com/content/13/1/99]. 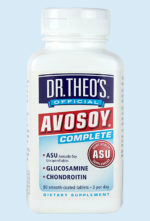 This high EPA formula is more suited for inflammatory support. Other products may require 6 or more softgels to deliver this amount of EPA (making them far less cost-effective, higher in calories and more likely to lead to indigestion). Unlike cheaper store brands, there is no fishy aftertaste or “fish burps”. In addition, each batch is sent for dioxin, PCB and heavy metal testing to help insure its place at the top of available Omega-3 products. Fish Oil’s freshness can be best extended by using cold storage (refrigerator or better yet, the freezer) You can take the softgels cold; they don’t have to warm before use. Would you like to order 12+ bottles? Please order by the case. Domestic (US) Shipping is free for orders of 12, 24, 36, etc. (Multiples of 12).